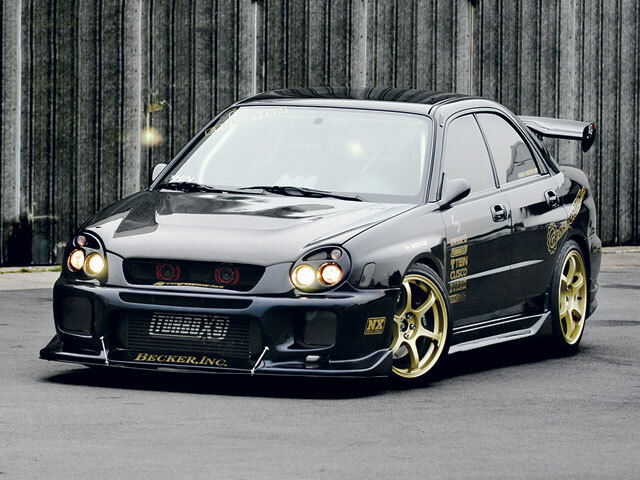 The letter STi hold a special sort of appeal for many Subaru Impreza enthusiasts. 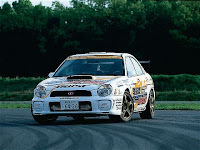 Think of Subaru Technica International as the go faster wing of Subaru much as M is to BMW, AMG is to Mercedes or, more accurately, Ralliart is to Mitsubishi. 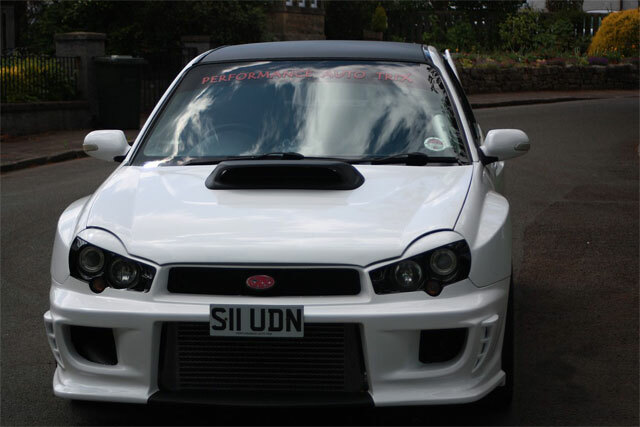 STi badged Imprezas command serious respect and the officially imported UK cars are always in big demand as specialist used cars. There are plenty of early imports around, but well concentrate here on the post 2002 models rather than the legions of grey import cars that made their way to these shores in the late nineties. 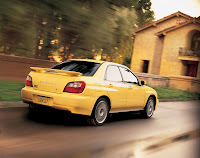 Introduced at the 2001 Frankfurt Show, the STi is powered by a 265bhp 2.0-litre flat four engine, but dont be fooled into thinking that its merely a case of plugging in a more aggressive engine management chip or a bucket-sized turbocharger. Nearly 80% of the STis all-alloy powerplant is unique. 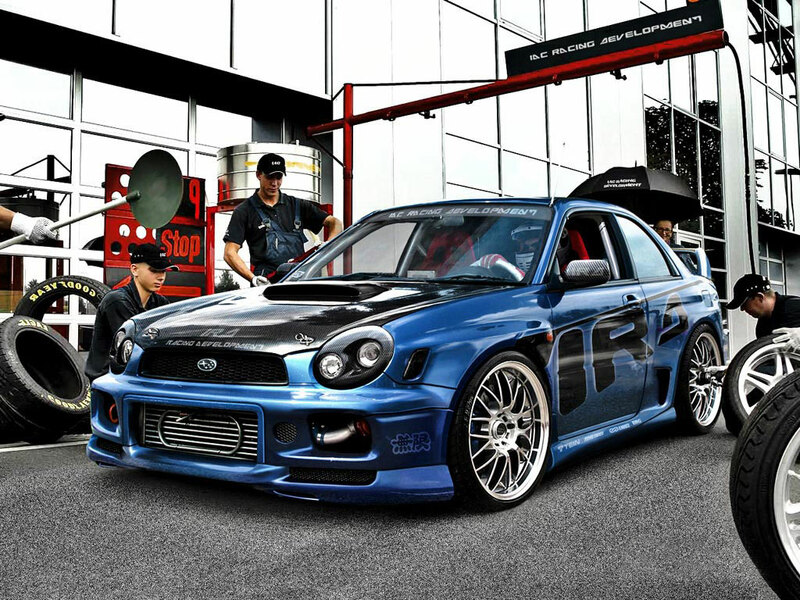 Two versions are offered for the UK market the standard STi and the special edition STi Prodrive Style. 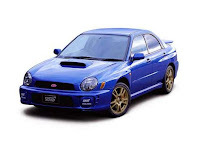 Differences to the regular WRX include special gold-coloured spoked alloy wheels, colour-keyed sill spoilers and an interior featuring blue suede-effect seats with STi logos and red stitching for the steering wheel, gear knob and handbrake lever. Also inside - and sure to please enthusiasts - is a switch to spray the intercooler with water. Another device allows the driver to preset a warning buzzer and light to guard against over-revving the engine. On opening the bonnet, the engine compartment greets owners with a dramatic mixture of colours and detailing. The intake manifold, for example, is painted in red and the enlarged aluminium intercooler emblazoned with 'STi' lettering. 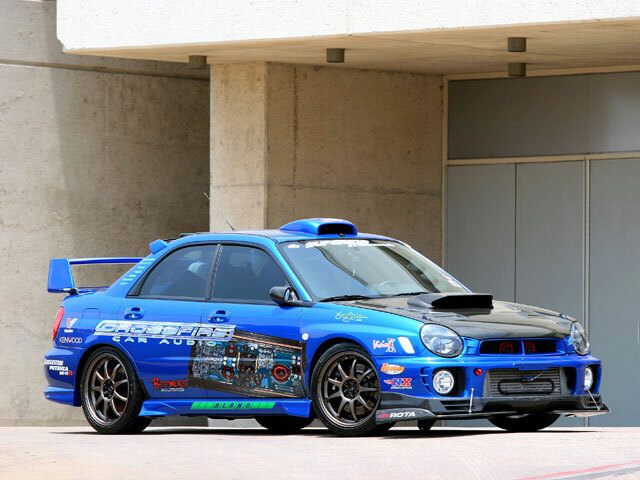 In addition, the STi Prodrive Style features a massive high-riding boot spoiler, newly designed sill spoilers and a deeper, squarer front bumper. The grille and badging resemble the WRC rally car. Interior enhancements over the standard STI include dark blue-coloured instruments with red needles. Four colours were available: WR Blue Mica, Blue Black Mica, Premium Silver Metallic and Pure White, the latter two being available to special order only. The facelifted car followed the same theme with revised suspension and a few engine tweaks. 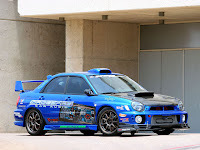 Dont be fooled into thinking that the power increase over the WRX has been achieved by merely plugging in a more aggressive engine management chip or a bucket-sized turbocharger. Nearly 80% of the STis all-alloy powerplant is unique. The piston head was reshaped to form tougher semi-closed-deck cylinder blocks. Screw-in conrods and forged pistons combine with shimless valve lifters, sodium-filled exhaust valves and hollow valve intakes. Every moving part is either stronger, lighter or both. 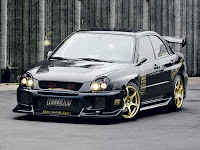 This reduces inertia and gives the engine a manic free-revving feel thats missing from the standard WRX. A larger intercooler and air intake help keep things from meltdown, and a water spray has been fitted to the intercooler that is operated by the driver via a dash-mounted button. Serious stuff. Pre-facelift WRX STi models start at £14,700 on a 2002 51-plate whilst the Prodrive edition costs £16,500 on the same plate. 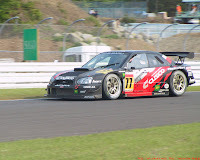 Japanese import cars can be had for less and with a full slug of 276bhp but they lack the rustproofing of UK cars as well as the Thatcham alarm/immobiliser, the satellite tracking system and the three-year/60,000 mile warranty. You pay your money. Later shape facelift cars are harder to come by but expect to pay at least £20,000. Do take insurance bills into account when budgeting for your car as youll be looking at Group 20. 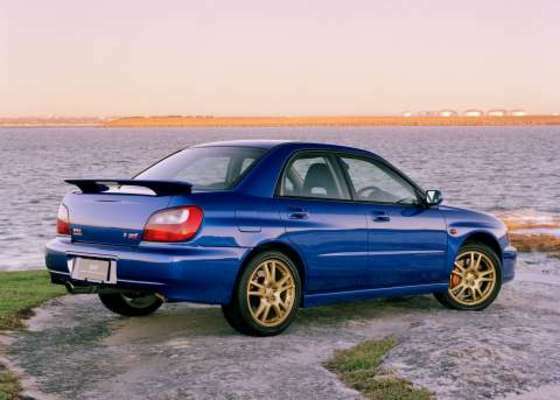 Theres quite a bit to bear in mind here given the Impreza WRX STi is still fairly new to the used arena. First and foremost, make sure your STi is exactly what it says on the tin. 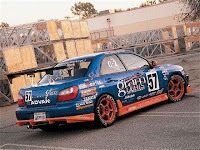 There have been tales of unscrupulous vendors passing cosmetically modified WRX models as STi versions at big mark-ups. 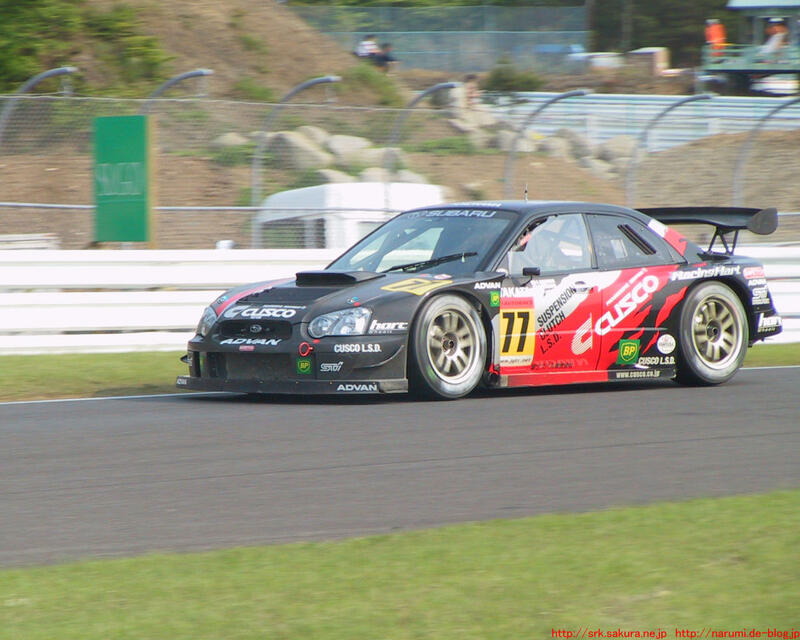 The same goes for cars with and without the Prodrive engine upgrades. Inspect the car carefully and its advisable to undertake background checks to ensure it hasnt been stolen/recovered or crashed. A service history is essential and watch for non-standard parts, resprays, kerbed alloys, spongy brakes and worn clutches. Parts are expensive, so tread carefully. The fact that the Impreza regularly comes at or near the pinnacle of the J D Power surveys is testament to its almost metronomic reliability. 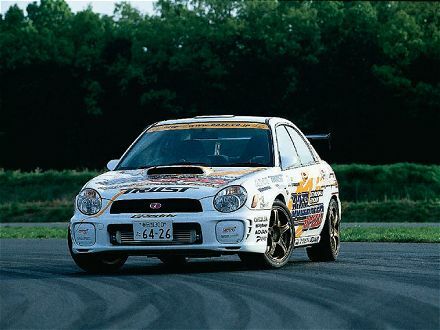 Jump from an Audi S3 into an Impreza WRX STi and your first impression would be that the Impreza would be lucky to last all the way to the bottom of your drive, but the Subaru trounces the Audi in terms of actual reliability. The cheap fascia plastics and the exposed wiring in the boot may look like corner cutting, but the bits that matter have had millions of yen of development budget thrown at them. 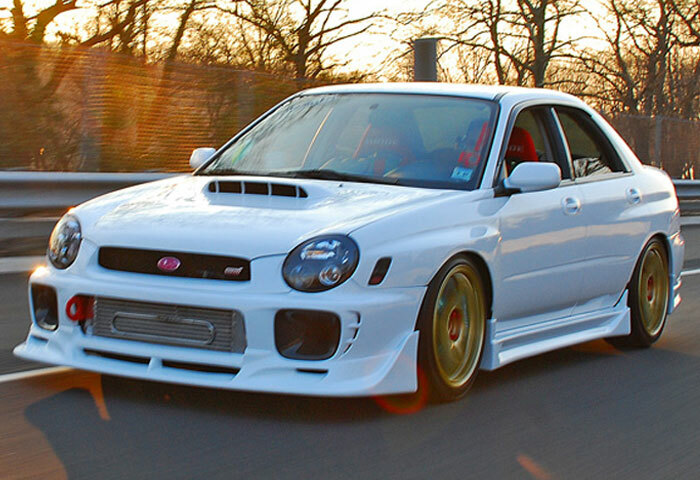 (2002 WRX STi approx.) 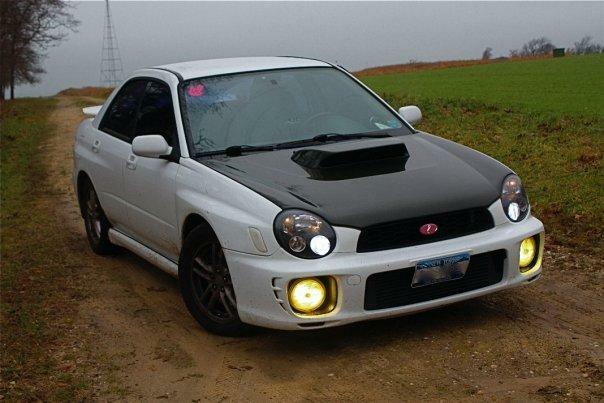 Subaru parts have a deserved reputation for being expensive. A clutch assembly is around £240. Front brake pads are around £80, and a new alternator is over £400 new. A headlamp unit is £260 while a cam belt is just over £100. Even a humble fuel filter is £33. STi owners will certainly have enough performance to be able to blow most other road users into the undergrowth with a rest to sixty figure of 5.2 seconds and a top speed of 148mph on the cards. These figures err on the conservative side, and give no hint as to the sheer otherworldliness of the Imprezas cornering abilities. The facelift model will run on to a top speed of 151mph. The power delivery is frustratingly toppy insofar as theres very little action below 4,500rpm. Unless you really grit your teeth and have no sympathy for the clutch, youll get beaten off the line by far humbler fare. Like the seminal Impreza P1 before it, the WRX STi is a car that only really makes sense when being driven like an absolute banshee. 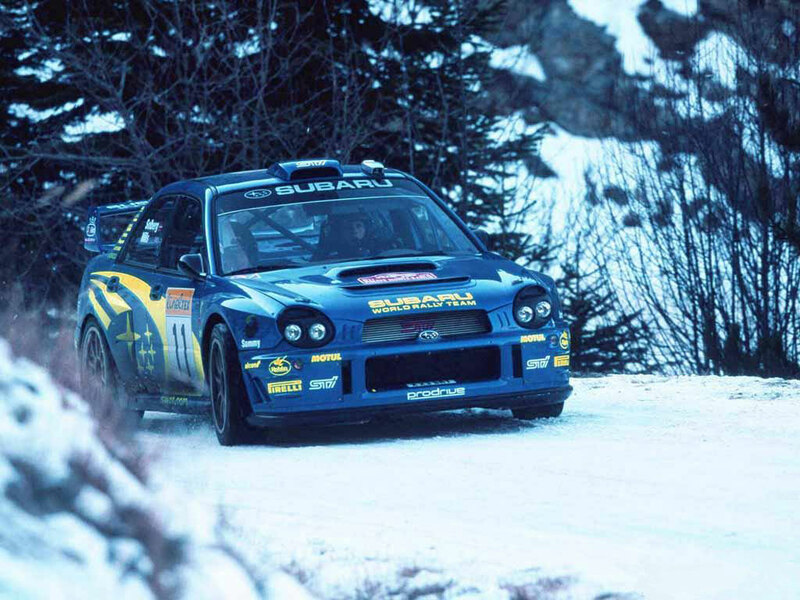 To set the mood, Subaru ought to perhaps supply the car with a looping CD of Motorheads Ace of Spades at full volume in the excellent audio system. The STi can also be fitted with a 305 PS performance pack giving a 155 mph top speed and 0-60 mph time of only 4.6 seconds. Developed by Banbury-based Prodrive, the power boost ups the available oomph from 265 PS (261.5 bhp) to 305 PS (300 bhp) at the same 6,000 rpm but torque rises from the standard STis 253 lb ft to 299 lb ft, also at the same 4,000 rpm. The result is not only startling high-rev performance but also more low and mid-speed flexibility. In other words, the car becomes swifter at any speed and in any gear. Cult cars usually come with considerable caveats. This one is different. 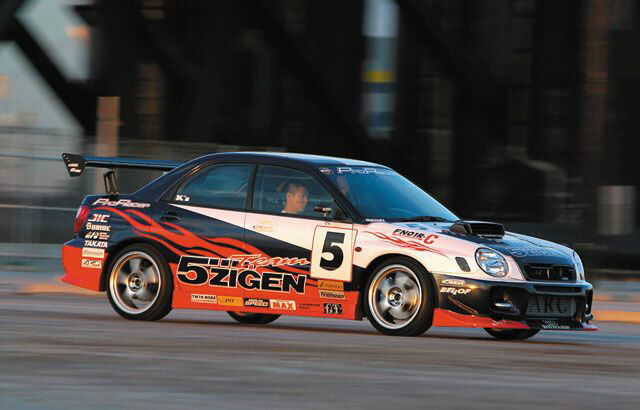 The Impreza WRX STi is a car that can be used to commute to work, to blast across a continent or to take to a favourite racetrack at the weekend and have the time of your life. Few cars offer such versatility, practicality, reliability and sheer fun. Whichever version you buy, youll be guaranteed a car that has deeper reserves of capability than you could ever have imagined. 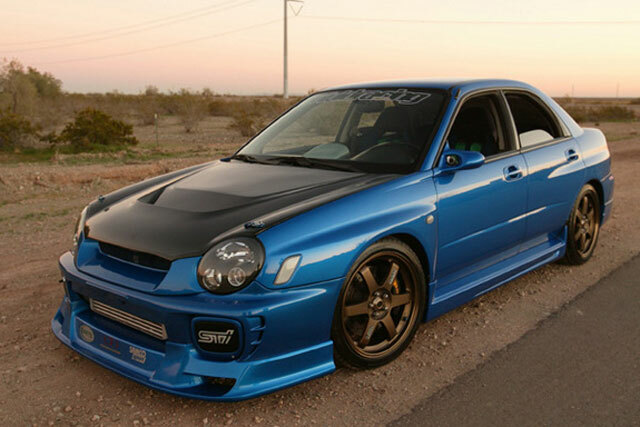 If you want to find out why such an aura has built up around the Impreza, the STi offers all the answers. Just go. Youll see.